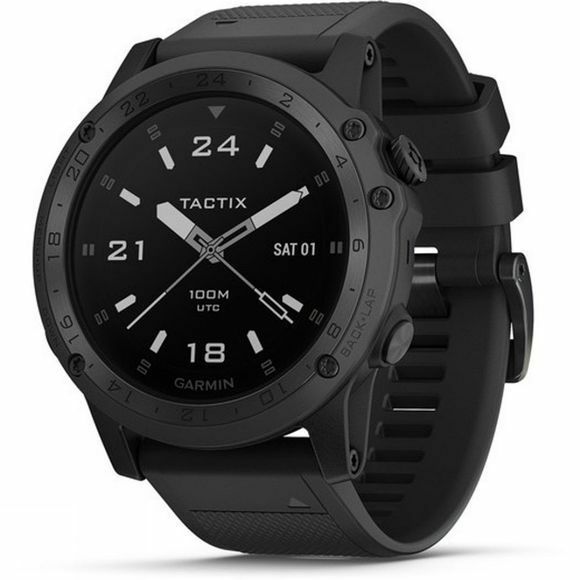 The Tactix Charlie GPS Watch from Garmin is a high-performance, military-grade GPS watch designed with state-of-the-art materials and advanced functions ranging from navigation and heart rate monitoring to skydiving and night-vision mode. Made with lightweight, high-strength titanium, polymers and a scratch-resistant sapphire lens, it is designed to perform in the most extreme of situations. Get 24/7 monitoring with the Elevate wrist-based heart rate monitor, no more need for uncomfortable chest straps. Preloaded full of different sport and activity profiles such as running, skiing, cycling and golf, you have all the key stats you need at your fingertips to monitor your training sessions. Water rated to 100m, it is the perfect companion for monitoring your next big swim, in open water or a swimming pool. With a display that is easy to view in sunlight, 16GB of built-in memory, preloaded TOPO Active Maps for Europe, internal rechargeable battery, and GPS/GLONASS functionality, you have everything you need in order to maximise your performance, whether out on a run, swim or bike ride. 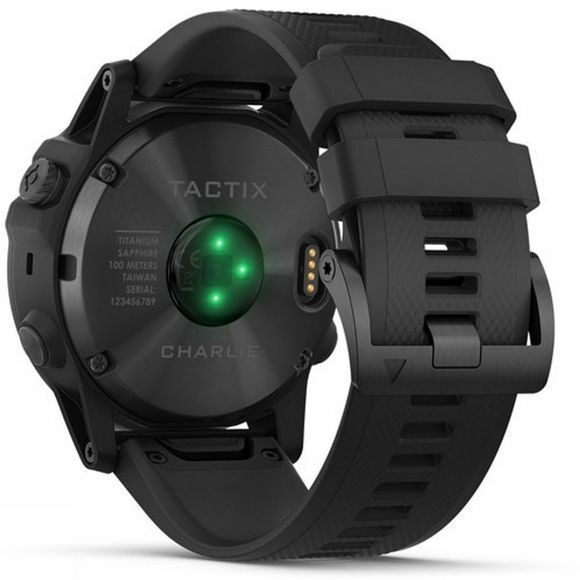 With Wi-Fi capabilities, you can connect the Tactix Charlie to the Garmin Connect mobile fitness app for automatic uploads to the Garmin Connect community for easy reviewing and sharing data from your activities. The Tactix Charlie is a must-have tool for anyone looking to take their workouts to the next level and want to push themselves and find new limits. Not the right GPS watch for you? Browse some of our other products you may be interested in.